If a friend or loved one has been arrested and taken to NCCF, and you’re looking for someone to help you get them out of jail fast, then look no further. NCCF, is located in Castaic, CA., (within the Santa Clarita city limits. ), and is staffed by one officer for every ten inmates. Previously known as Wayside, NCCF is located in Castaic, CA and run by the Los Angeles County Sheriff’s Department. It’s a large, maximum security facility that includes five different jails operating separately, and is housing to about four thousand inmates; including pre and post-trial inmates. NCCF is very busy, with transfers in and out of the jail happening all the time. When an inmate is bailed out, they are transported to Twin Towers Correctional Facility and released from that location. If you have questions about (NCCF), North County Correctional Facility, or would like to get the bail bond application process started right away, please feel free to give us a call. Our offices are open 24-hours a day, 7-days a week and a licensed, professional bail bondsman is always available to take your call. We can be reached day and night at 661-299-2663. 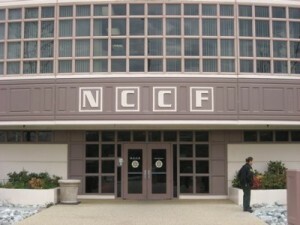 The NCCF is the oldest jail facility in Los Angeles County and is staffed by about 400 sworn officers, or about 1 officer for every 10 inmates. 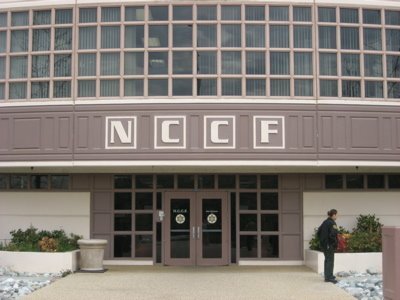 As mentioned above, the NCCF is used to house pre and post-trial inmates, and is also used as the primary facility for housing parole violators. Only pre-trial inmates are eligible for bail. Anyone found to be under the influence of alcohol or narcotics during visitations will be subject to arrest. Additionally, no alcohol, narcotics or weapons are allowed on the premises. Any visitor found to be in possession of these will be subject to arrest. Visitors may leave an inmate a total of $40.00 as well as any legal documents during visiting hours only. Visits are limited to 30-minutes per day, with an additional 30-minutes added on visiting holidays. Sons and Daughters are allowed to visit fathers who are inmates without the presence of an accompanying adult. If you want to bail someone out of the North County Correctional Facility, give us a call and provide us with a little general information about the inmate. We’ll use that info to locate them within the system, ensure that they’re still located at the NCCF and verify their eligibility for bail. Once that’s been established, we have you fill out the simple bail bond application forms and sign the indemnitor’s agreement. Last, we dispatch one of our agents to the jail and your friend or loved one will be released as soon as possible. As mentioned, when an inmate is bailed out from NCCF, they will not be released directly from the NCCF facility. Males will first be transported by bus to Twin Towers Correctional Facility Jail in downtown Los Angeles, and will later be released from that location. If you’re not local to the area, or are otherwise unable to meet with us in person, we can handle the entire bail bond application process via phone, fax or email. We pride ourselves not only on our expeditious service, but on our ability to accommodate all of our clients. If you’re more comfortable dealing with us from your home or office – we’re totally fine with that. When a judge sets bail, the cost will vary depending on the number and nature of the crimes that an individual is charged with. We will beat any locally advertised price! We accept major credit/debit cards, including Visa, Master Card, American Express and Discover as well as cash, business and personal checks, money orders, bank account transfers and money wire. If you’re interested in financing your bail bond, let us know. We have a number of flexible payment plans designed to fit most any budget. No matter how you choose to pay for your bond, we never include any additional fees, charges or interest. If you would like additional information regarding North County Correctional Facility bail bonds, please feel free to give us a call any time. We can be reached 24/7 at 661-299-2663.